Here we are at last folks. Part II of the Western Roundup is hot off the internet and ready for your lusty gaze. Last time I talked about a real boot to the head of a game called Call of Juarez: Bound in Garbage. I will be putting together a support group for those of us who have played it. Remember, we are still men. Until I get that off the ground though, lets talk about a much better game. Lets talk about Red Dead New Vegas! 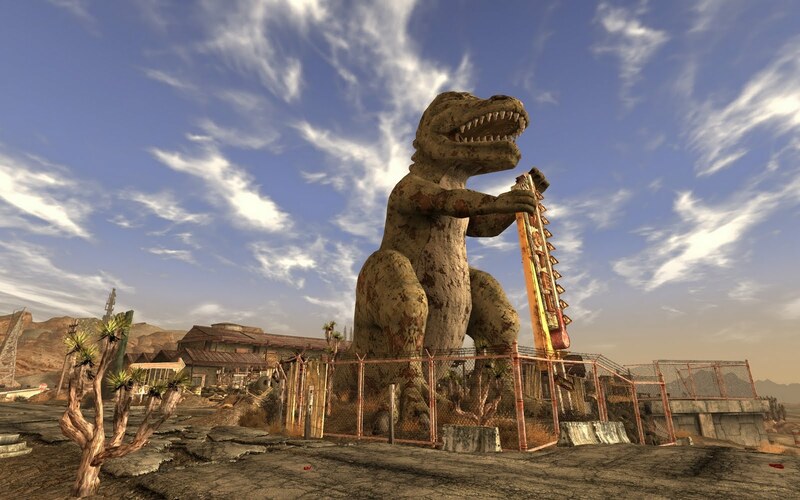 Red Dead New Vegas is the real deal friendos. 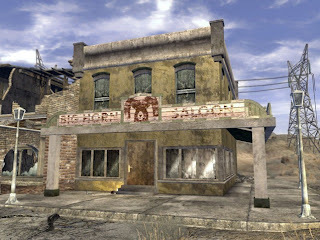 Released in some parts of the world as Fallout: Redemption, RDNV is the game to play if you are a fan of western gaming. This game has got it all! You play as a rugged loner who travels vast expanses of desert facing moral dilemmas while playing the type of badass that you want to be. 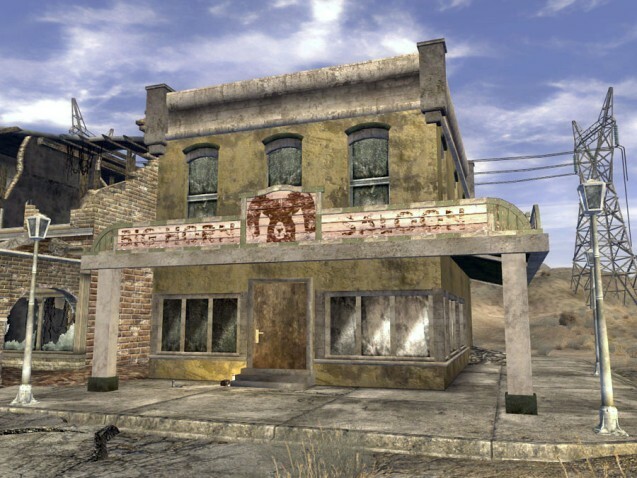 You can always stop into the local saloon for a drink and a game of cards! Along the way you try on different cowboy hats, pick flowers, and chew tobacco (the manliest of all plants.) You also hunt down and skin wild life, play card games, and meet an eccentric cast of well written and superbly voiced characters. All is not well in this veritable playground of flower picking, fancy hats and card games though. You also have to keep an eye out for cannibals who will eat you if given even half of a chance and a new expansionist government that is grabbing up territory and changing everyone's way of life right before your very eyes. 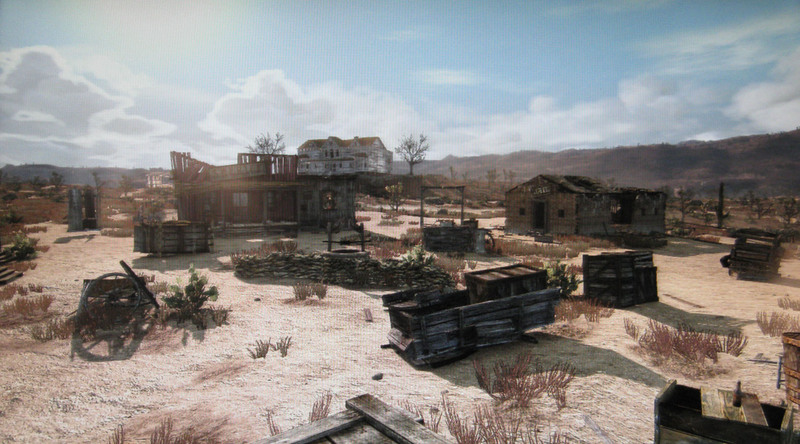 I doubt there could even be a better western experience for the PS3 than RDNV, and if there were, I am not even sure the system could handle it. RDNV is already so much game that I have experienced almost nightly system crashes, bizarre physics related glitches and the occasional choppy framerate. But don't let that turn you off cow-pokes. This game is worth saddling up with, pardners. YEEHAW! it isnt true to its roots exactly but still a very good game. too bad you cant play it on the xbox 360 though, it is less buggy and better looking then the ps3, but im not gonna debate 360 vs. ps3 just a better exp. for me.